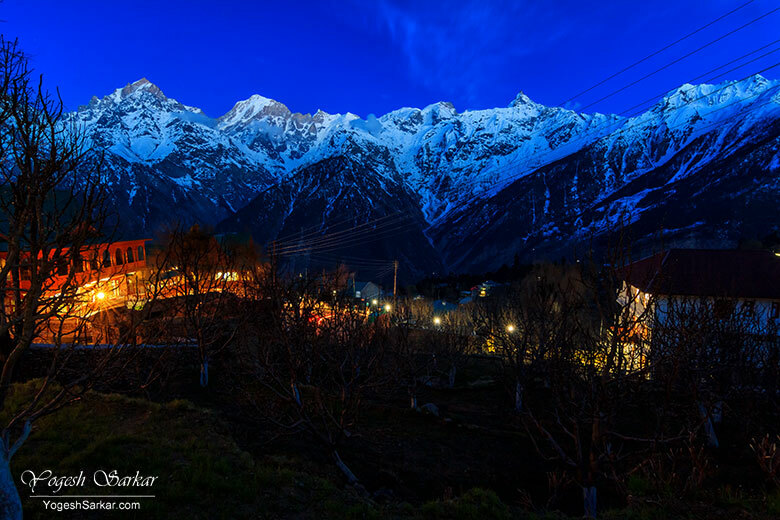 I recently travelled to Kalpa in Himachal Pradesh and during my visit, stayed at the HPTDC Kailash Cottage. 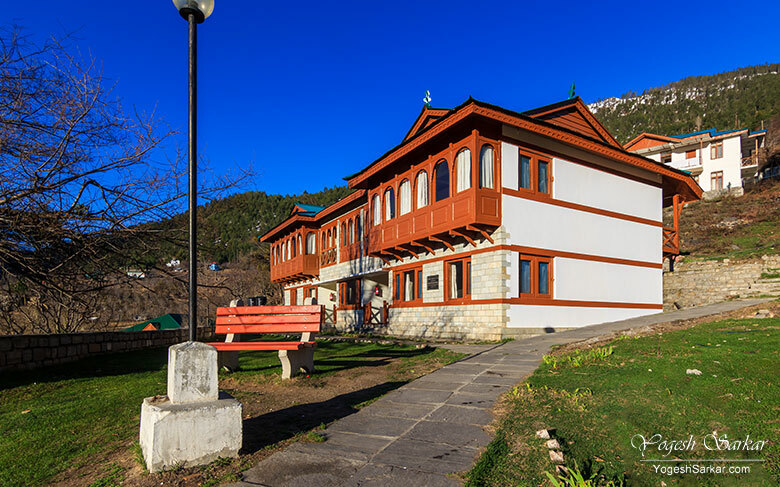 Himachal Pradesh Tourism Development Corporation (HPTDC) has three properties in Kalpa; Kinner Kailash, Kailash Cottage and Sun n Snow Cottage. 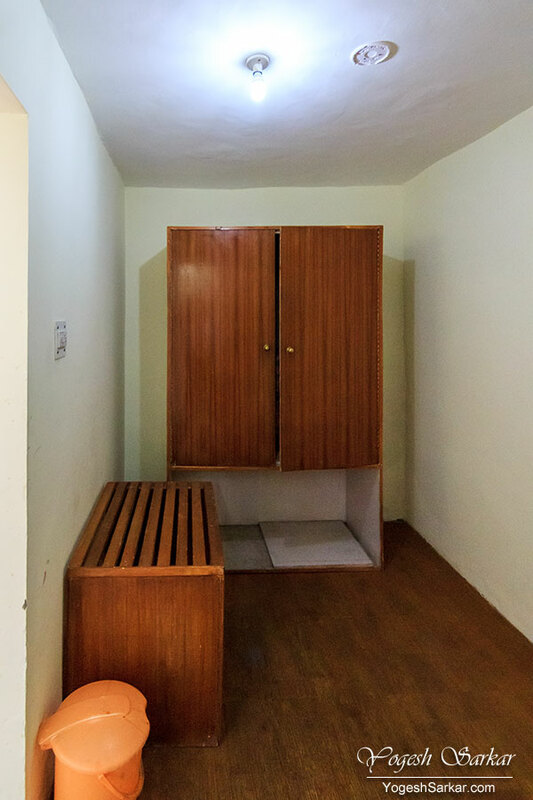 All located within the same compound, with the Kinner Kailash being easily accessible from the parking lot. 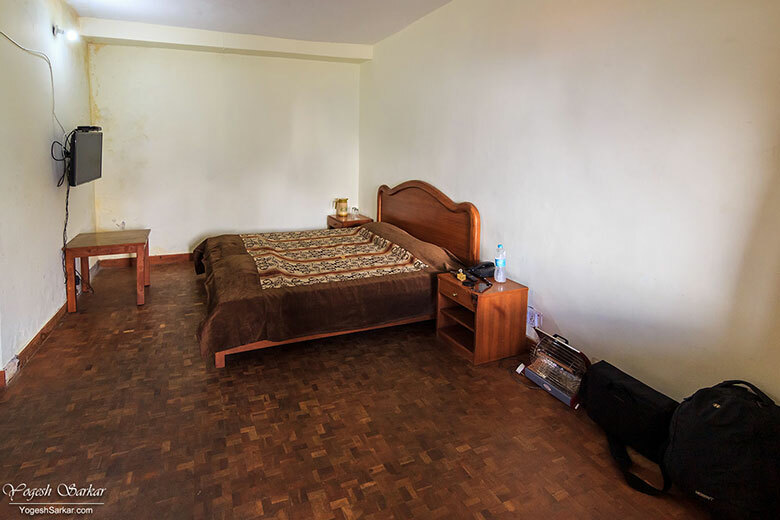 It is also the costliest of the lot with room rates ranging from Rs. 2,400 to Rs. 6,000 (taxes extra). 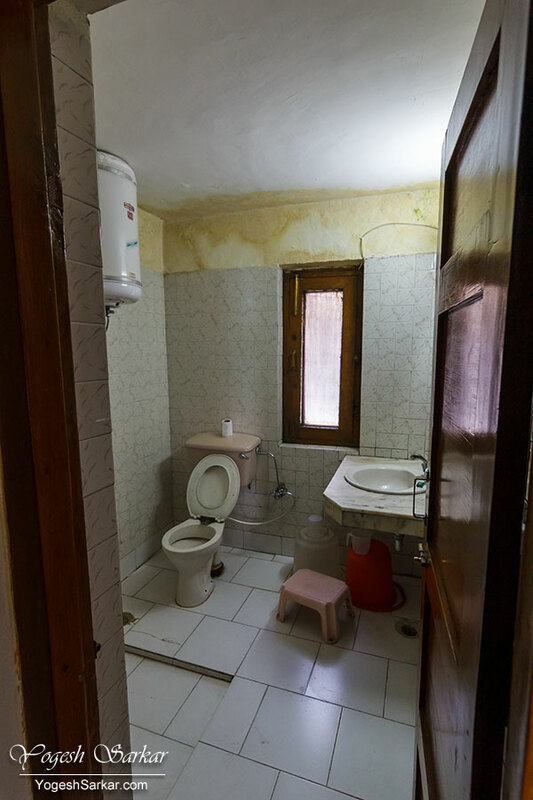 Kailash Cottage is the mid-tier offering with room rent ranging from Rs. 1,800 to Rs. 2,490 and Sun n Snow is the cheapest with rooms ranging from Rs. 1,400 to Rs. 1,800 (taxes extra). Sun n Snow is the farthest away from parking lot. I liked the Kailash Cottage not only due its price, but also because it came with a lawn and a view, which I felt was perfect for photography. I got a room for Rs. 1,350 + taxes, since I was staying alone. The room itself was fairly large and comfortable, though sparsely furnished. I really liked the dining/sitting area, which was covered so that you could enjoy the outdoor view, without feeling cold. Construction has begun to show its age as well and there is a need for repaint. The chairs needed some work too, as they had begun to sag. My room’s intercom was not working, even though the front desk manager as well as the staff assured me that they will get it fixed, no one came. I used my mobile phone to call the front desk, in case I needed room service. There is Wi-Fi in the hotel. However, it does not reach inside the Kailash Cottage. Therefore, you have to step outside in order to use it. Having said that, Kalpa has JIO, BSNL and Airtel 4G/3G, along with Edge coverage for Vodafone/Idea. 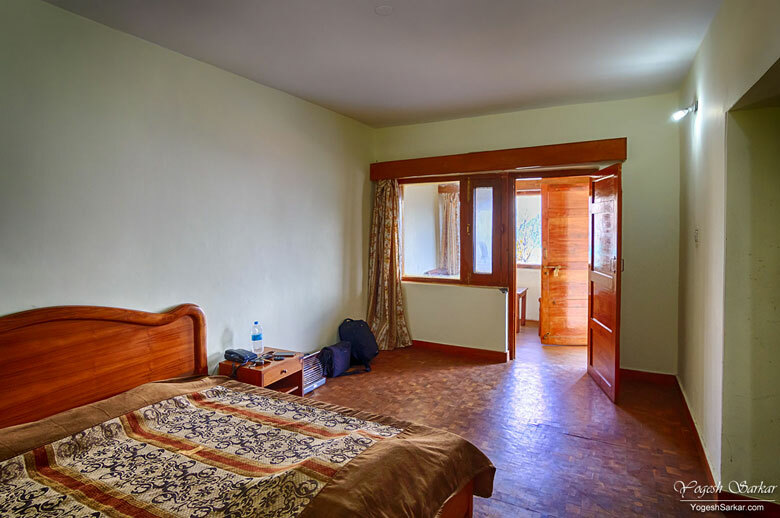 The service for the most part was prompt and courteous, though the younger staff is deployed for Kailash Cottage and more experienced and uniformed staff caters to the Kinner Kailash. I guess this is done to make you feel you are staying at a cheaper place! Having said that, I have no complaint about the staff, they were really helpful and courteous. The food though is the same, irrespective of where you are staying and it is deliciou! 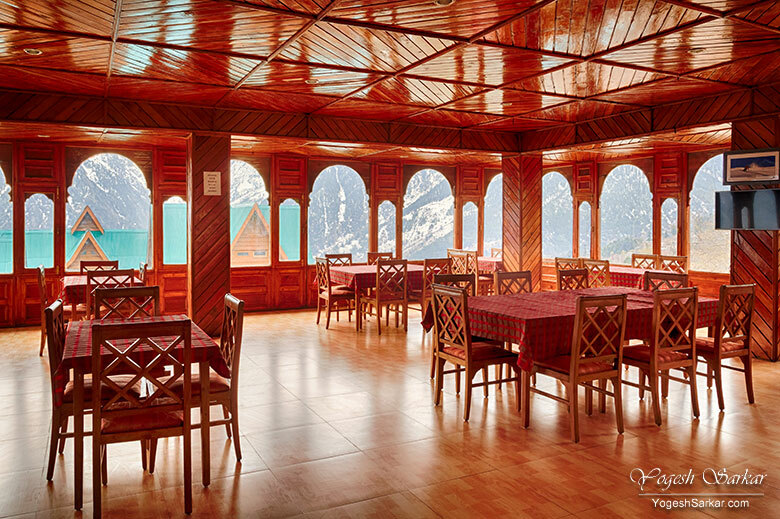 You can also dine at the restaurant located in Kinner Kailash, which offers panoramic views, though partially blocked by the Kinner Kailash itself. Despite HPTDC’s effort to undersell and make the distinction between Kinner Kailash and Kailash Cottage unusually wide. 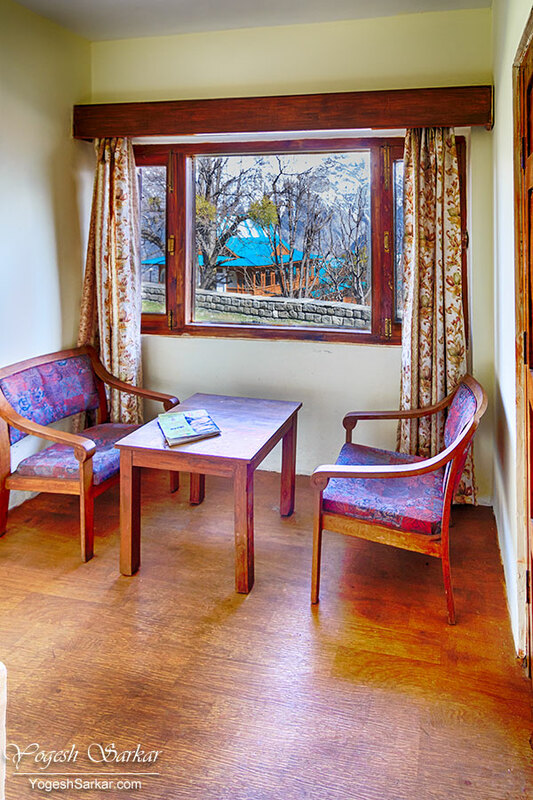 I liked my stay at Kailash Cottage and would stay there again, even if I had the budget for the Kinner Kailash, due to the view from the cottage. I sincerely hope, HPTDC pays more attention to Kailash Cottage and gives it the TLC it deserves.